Figure 1: UWC – Denmark, Estonia, Finland, Iceland, Ireland, Latvia, Lithuania, The Netherlands, Norway and Sweden. Recently, ten northern European countries, shown in green in Figure 1, signed a memorandum of understanding with the intention to join forces in regional weather forecasting to operate a common numerical weather prediction (NWP) model. This unique collaboration between the National Meteorological Services (NMSs) has been named United Weather Centers (UWC) and its primary goal is to efficiently provide the best short-range weather forecasts for the geographical areas of interest which will contribute to enhancing safety and securing life and property for the citizens of the member countries. Weather prediction requires large amounts of expensive computing power, weather observations and research. New technologies in computing and data processing are changing the context and opportunities for weather services. Instead of working separately, ten northern countries agreed in August 2018 to combine their experiences, knowledge and resources in operational NWP. In 2010 the Norwegian Meteorological Institute (MET Norway) and the Swedish Meteorological and Hydrological Institute (SMHI) established a bilateral collaboration (named MetCoOp) for joint operational NWP. The main objective of MetCoOp is to pool human and technical resources and capabilities, and thereby advance developments for improved weather forecast services. The Finnish Meteorological Institute (FMI) joined in 2017. By 2022 MetCoOp will benefit from the contributions of Estonia, Latvia and Lithuania in a collaboration called UWC East. Also in 2022, Ireland and the Netherlands will join a cooperation currently in existence between Denmark and Iceland, which began in November 2014, and thus form the cooperation UWC West. In 2027, there will be a common operational NWP environment, including observations handling, model configurations, technical infrastructures, high-performance computing and data dissemination. The effect is that the NMSs can better contribute to a weather-ready Northern European society, improve the warnings for high impact weather, enhance safety and secure life and property for their citizens. A numerical weather forecast model is crucial to operational weather services. In 1985 the Nordic NMSs established a research and development programme on NWP which was the first consortium on limited area modelling in Europe, called HIRLAM. Later this consortium was expanded to include several other European members. In 2005, a strategic decision was made for the consortium to engage in a close cooperation with another similar consortium, ALADIN, which includes members in Europe and North Africa. The model system developed under this HIRLAM-ALADIN cooperation will be implemented as the UWC model system. The cooperation between the researchers and developers of the model system, the operational staff who are responsible for the regular operational production and the forecasters who use the model data are essential for the shared knowledge and sustained production of ever-improving operational weather forecasting and warnings to the benefit of society. Key sectors where improved weather forecasts can add value to social and economic activities include civil protection, transport, energy, agriculture, fisheries, tourism, outdoor social activities, construction, preparedness and defense. Each national weather service has its own national responsibilities and associated competence related to security including warnings, preparedness and defense. All are obliged to meet requirements from national governmental institutions and ministries together with serving national interests. There are variations when it comes to the needs and demands of different users that require national scientific meteorological competences and responses. The collaboration is aimed at strengthening the capacities and capabilities to fulfill these national responsibilities and to maintain the high level of relevance, impact, quality and trust within our local society. The first steps include the preparation of joint operational production in both UWC East (MetCoOp) and UWC West starting in 2022 which involves decisions on model implementations, hardware procurement and related production processes etc. After that, the operational cooperation of the ten countries in UWC from 2027, will require the assessment of developments and needs for new knowledge in weather forecasting on a longer time scale. 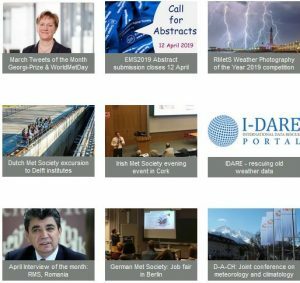 Interest from other countries in joining, relationships with other European parties in meteorology, technical developments in hardware capabilities and meteorological modeling knowledge and, most importantly, requirements from our main stakeholders are among the main topics that need attention in order to prepare long term goals on collaborative production of numerical weather forecasts. The ten cooperating countries have taken up this challenge.